I started training at age 7 in Shotokan Karate. At the time, I had just seen the movie "The Karate Kid" and bugged my parents enough to let me take lessons. I stopped training for 6 years while going to highschool to concentrate on my studies. After graduating from high-school, I started studying LTKKA kenpo karate. I trained hard in this style for 3 years before moving away to Victoria. I continued training in kenpo and taught a little at one of the local schools. After the school closed down, I took a brief hiatus from the martial-arts then briefly took up Wing Chun. I have now been training in kickboxing for about a year. It is amazing to see how many women there are in my class. Right now, we outnumber the guys. 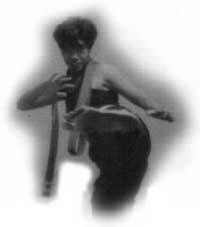 I am hoping to use this web site as a gathering place for women martial-artists or women looking to get into some form of martial art.